Can things get much worse for HTC? The Taiwanese phone firm is expected to announce its profits have fallen 90 per cent in the last three months of 2012. It's not the only bad figure either. Revenue is expected to drop 17 per cent in the three months to the end of March, which is worse than analysts predicted. HTC reckons its first quarter revenue will be between NT$50 billion and NT$60 billion ($1.69 - $2.03 billion, £1.07 - £1.29 billion), which is below the analysts' forecast of NT$62.77 billion. Gross profit is expected to stay pretty flat or decline marginally on the last three months of 2012. HTC's CEO Peter Chou blamed the sales slump on strong competition and a lack of marketing. "Our competitors were too strong and very resourceful, pouring in lots of money into marketing," he told the Wall Street Journal. "We haven't done enough on the marketing front." He said 2013 "would not be too bad" for the company. 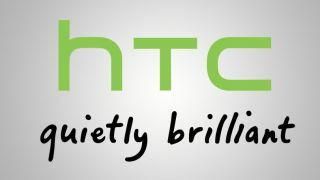 HTC is set to unveil its M7 handset at an event ahead of Mobile World Congress. Though Peter Chou has already taken to the stage to show off the device. It promises to be the new flagship, challenging the likes of the Samsung Galaxy S3 and iPhone 5.